This digital release has been developed by LUCKYHAMMERS alongside Jacob Fryxelius, the creator, for the definitive adaptation of the game. It launched physically in 2016 and has quite the cult following now. Andrew was just telling me how one of his friends was gushing about the physical version of it. I’m quite excited to check it out when it launches in the next few months. 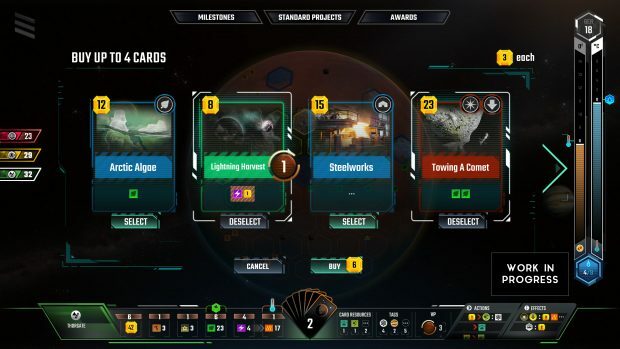 Terraforming Mars’ digital release will feature two single player modes allowing you to play solo like the actual game or against the AI. There will also be local pass and play multiplayer and online multiplayer for the release. The release window for it now is later in this quarter with the Steam release happening in Early Access next month.